Welcome to our new home on the web! WarAndSociety.org is currently up but will not be there for much longer. Thanks to Mark Anderson and his team at Marketing, just about all of the content from WarAndSociety.org has been transferred here. This is now the new -- and completely official -- blog for the War and Society programs at Wright State: the undergraduate minor, the graduate concentration, and the "hybrid" graduate concentration with Public History. Anyway, here's the quick-and-dirty summary listing of all W&S-eligible courses for Summer Term 2017 and Fall Semester 2017. Please check the list thoroughly. Our Fall offerings seem to be probably the richest we've had since W&S began over three years ago. On a separate note: as some of you know, I (Dr. Lockhart) will be on professional development leave during Fall 2017 and Spring 2018, returning to teach in Fall 2018. Although I will not be on campus much, I will be in town for most of the time, and available to consult or advise on a limited basis. So if you've got program-related questions for me during that time, please do not hesitate to contact me. And, of course, if I'm on your thesis committee, I still will be on your thesis committee. ATH4650/6650-A01: Field School in Archaeology (A Session). Instructor: Dr. Lance Greene. Dr. Greene will be returning to work in the Piqua/Peckuwe battlefield site again this summer, and he’s generously agreed to include his course in our list. He’ll be teaching a course on conflict archaeology again very soon, and it’s something that I would urge all W&S students – especially those with interest in American military history, material culture, and public history – to take. Please note: 3000-level courses are only eligible for the undergraduate War and Society Studies minor. Only 6000- and 7000-level courses count toward the graduate concentrations in War and Society or War and Society/Public History. Any questions? Contact Dr. Lockhart at paul.lockhart@wright.edu. 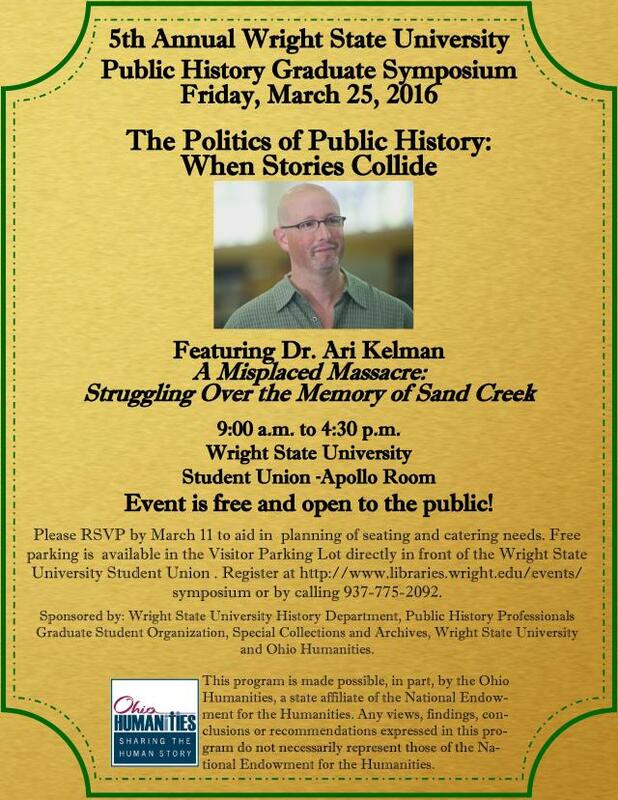 Save the date: March 25, 2016 — at Wright State’s annual Public History Symposium, Dr. Ari Kelman will speak on Sand Creek. This should be of interest to all WSU W&S students. On Friday, 23 October 2015, Wright State grad Kyle Yoho will be coming back to WSU to talk about something near and dear to his heart: reenacting, living history, and education. Kyle will discuss “Planning Your Own Living History Event” at the Millett Hall Atrium, 23 October, 11:15 am – 12:15 pm. Kyle, who earned his MA in Public History here at Wright State in 2014, is currently Education Director at The Castle Historic House Museum in beautiful Marietta, Ohio. Kyle has been involved in Civil War reenacting for eleven years, and for the past decade he’s organized a Civil War living history event at his hometown of Woodsfield, Ohio — an event which, in 2014, garnered the Ohio Local History Alliance’s award for excellence in public programming. This talk should prove to be of great interest to anyone with an interest in reenacting, in military history, or in public history, especially our PH students who have a museum career in mind. Shameless plug, but it’s not for myself so it’s perfectly OK : if you’re curious about what “living history” is, check out the blog for Dr. Lockhart’s HST4850/6850 “Living History” course: Living History at Wright State University. Kyle’s talk is co-sponsored by War & Society, Wright State University, and by the Department of History, Wright State University. Well, we’re nearly halfway through the Fall term. Enrollments in the W&S MA concentration are growing, and we’re getting our first students in the new W&S undergrad minor and the equally-new W&S/Public History hybrid MA. We premiered at least one new course this term — Dr. Lockhart’s “Living History” course, which looks at “living history” and reenacting as avenues for public history (and how to do that properly) — and next term we’ll have a bumper crop of W&S-eligible classes. Again, remember that if you’re intending to get your History MA with a War & Society concentration, all of your courses — your required courses, that is — must be deemed “W&S eligible.” Please refer to the program guidelines elsewhere on this site. Again, I should remind all of our W&S graduate students that they must also take HST 7000, which will also be offered Spring 2016. This semester, Dr. Lockhart will be teaching HST7000 (HST7000-01, 5:00 – 7:40 T, Dr. Paul Lockhart). A list of courses for the undergraduate W&S minor will be posted in the next couple of days. W&S courses for Fall 2015!! HST3600-01: US Military History (Dr. Winkler). 12:20 – 1:15 pm MWF. HST3900-01: Global Encounters (Dr. Oldstone-Moore). 11:00 am – 12:20 pm TR. HST3900-02: Atlantic World History (Dr. McIlvenna). 9:30 – 10:50 TR. HST4000-01: Roman Republic (Dr. Edwards). MWF 2:30 – 3:25 pm. HST4050-01: Medieval Myths and Legends (Dr. Beck). MWF 10:10 – 11:05 am. HST4550-01: US Rise to Power (Dr. Winkler). MWF 2:30 – 3:25 pm. HST6000-01: Roman Republic (Dr. Edwards). 2:30 – 3:25 pm MWF. HST6050-01: Medieval Myths and Legends (Dr. Beck). 10:10 – 11:05 am MWF. HST6550-01: US Rise to Power (Dr. Winkler). 2:30 – 3:25 pm MWF. HST7330-01: Middle East WWII – Present (Dr. Halabi). 4:40 – 7:20 pm M.
Thirty some-odd years in the making. Well, maybe not thirty-some-odd, but a very long time regardless. I’m pleased to announce that Wright State War & Society will be offering another first. Our first first — the War & Society/Public History concentration, aimed at PH students who have a special interest in military history or who might be aiming for a career in a museum or historic site with a military history focus. I’m sure that a few eyes will roll at this one, but I have my reasons. I’ve been involved in living history and reenacting since I was in my mid-teens (in the late seventies). All military-related. First Civil War, then American Revolution, then seventeenth century (both English Civil War and Thirty Years’ War), and most lately the World Wars. Mostly it’s been for fun; lately it’s had a lot to do with family, as my older sons are both avid reenactors. But it’s been a big part of my life for a very long time. As a professional historian, I’ve struggled with my feelings about living history, and like many academic historians I have deep reservations about reenacting and reenactors: their concern with material culture above all other things, their sometimes minimal understanding of the larger historical context of the eras they reenact, the degree of ancestor-worship and overt sentimentality that often colors reenacting. But as a reenactor, I can state categorically that living history has taught me much that I couldn’t learn any other way; as I writer, I can say that I’ve taken away lots of intangibles that have helped my prose considerably. When you’ve actually eaten cold boiled salt pork in the pouring rain, or dragged a 150-pound (and more) water-cooled machine gun through the mud, you have an idea — just an idea, but better than nothing at all — of the challenges that soldiers have faced throughout history. Either way, reenacting brings people to history in a way that few other things can. Living history programs at open-air museums (Colonial Williamsburg, Plimoth Plantation, Old Sturbridge Village, et al.) and a NPS battlefields reach millions of “history tourists” annually. Thousands more participate directly in living history-related activities, including battle reenactments; hundreds of thousands more watch these events every year. Living history, in other words, reaches a much broader public than can be served by academic historians, and it “brings history to life” in a way that few museums can by means of static displays alone. For those reasons alone, historians ought to take it more seriously. But there is a disconnect between the worlds of living history and academic history. And that’s unfortunate. Dr. Lockhart at the Gettysburg 140th event, 2003. In this class, I’ll be introducing students to the history of reenacting and living history, the interesting (and sometimes, to outsiders, very very weird) subcultures of reenacting. We’ll look at what we can teach and learn through reenacting — its potential, in other words — and what we can’t teach or learn through reenacting. We’ll look at what reenactors get wrong, and what they get right. MOST IMPORTANT — we’ll be doing as well as discussing. We’ll look at the kind of research that goes into (or ought to go into) the individual personae that reenactors and “living historians” portray (that, by the way, is called an “impression”), and the kind of research and work that goes into a larger living history “program” at an historic site. And it won’t just be about uniforms and firearms and gear … or even just about soldiers. Historical reenacting might be mostly oriented around military subjects and wars, but that doesn’t mean that it’s only about military personnel. We’ll be looking at “civilian” roles, portrayal of cultural expressions and attitudes, and about “period” lifeways — food, work, language, everyday life. What do I hope to achieve with this? Lots, actually. For those who are already involved in living history, I hope we can shed a little light on what can be done with this activity. For those who are new to living history but interested in it, I hope we can do the same that we do for the “veterans,” but also to give you a place to start and a direction to pursue. For students interested in a career in public history, I hope that we can generate some ideas as to what can be done with reenactors and practitioners of living history, to enhance the educational value of museums and historic sites. And for everybody, including myself, I hope to have fun. Actually, I intend to have fun. Assigned texts will include Tony Horwitz’s best-selling Confederates in the Attic, Stacy Roth’s Past into Present, and Scott Magelssen’s Enacting History. HST4850/6850-01, Fall Semester 2012. 11:15am – 12:10pm MWF, Dayton campus. Any questions? Email Dr. Lockhart at paul.lockhart@wright.edu. Here they are. Fall course list will be posted in the next week or so. Any questions? Email Dr. Lockhart at paul.lockhart@wright.edu. HST4100/6100-A01: The Art of War in Early Modern Europe, 1400-1789. MTWR 9:50 – 11:30am. Instructor: Dr. Lockhart [HST4100 qualifies for W&S undergraduate minor; HST6100 qualifies for graduate concentrations in W&S and Public History/W&S (see below)]. Offered Summer A session only. HST4450/6650-A01: Middle East, WWII to Present. TR 4:40 – 8:05pm. Instructor: Dr. Halabi. [HST4450 qualifies for W&S undergraduate minor; HST6650 qualifies for graduate concentrations in W&S and Public History/W&S (see below)]. Offered Summer A session only. HST4870-A01: Veteran’s Voices Oral History. MW 4:40 – 8:05pm. Instructor: Ms. Bridget Newbury. [Qualifies for W&S undergraduate minor]. Offered Summer A session only. Some of you know about this already, but now it’s finally here: a joint MA/History concentration in both Public History and War & Society. When we started the W&S graduate concentration, a good number of Public History students expressed their regret that they couldn’t do both. That was a compelling reason to make a “hybrid” of the two, in and of itself, but it also occurred to us that there were possibly better reasons to do so. Perhaps most important is career-based — namely, that there are LOTS of military museums in the United States (one of the largest, the National Museum of the United States Air Force, is practically across the street, so to speak) and LOTS MORE museums that have significant military components. 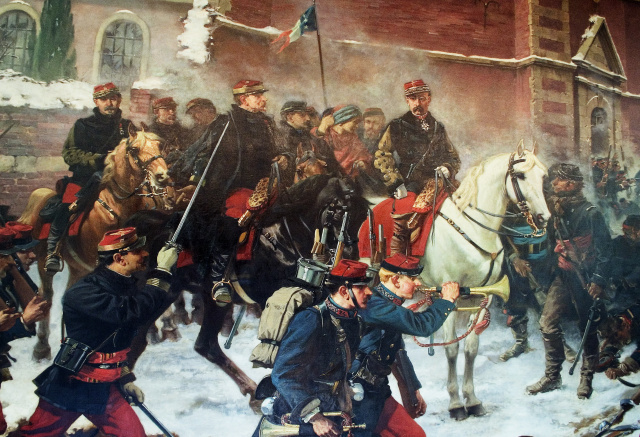 Military history is a popular topic in most college/university history programs, but as far as we can tell there’s been no effort, anywhere, to integrate military history and public history. So, I think it’s safe to say that we have something to brag about. While there are many “military history” and “war and society” programs, undergraduate and graduate, nationwide, Wright State University has the ONLY program to combine the two. 1. Total number of credits: 44 credit hours (instead of the current 38). 2. Required Academic Core courses: 18 credit hours (instead of the current 12). Students in the Public History/War and Society concentration are required to complete fifteen hours (five courses) of designated “War and Society” coursework. At least six of those hours (two courses) must be earned in seminars (HST7100 – 7830). Students must also take Historical Methods (HST7000, 3 hours) for a total of eighteen hours. Two of the courses (excluding HST7000) may cover non-US topics. 3. Required Public History courses: The same requirements as for the conventional Public History concentration, except that the required “capstone project” (HST7900) will involve a war-related subject, collection, or exhibit, at the discretion of the director of Public History and the coordinator for War and Society. Any questions? Email Dr. Lockhart (paul.lockhart@wright.edu). Thursday, 16 October 2014, 12:30 – 2:00 pm. 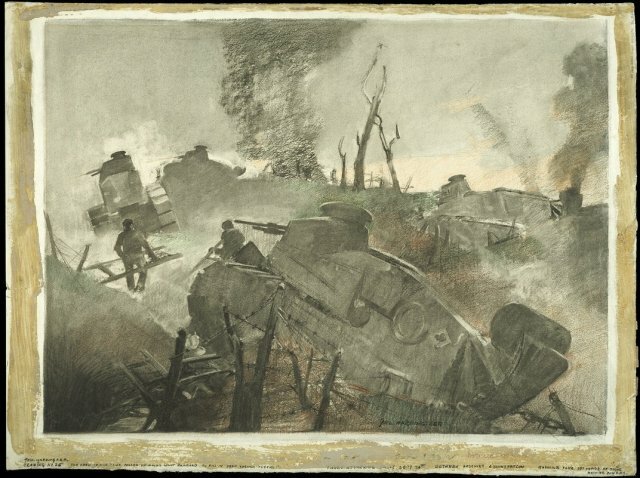 “Civilians and the Labor of War, 1914 – 1918,” a lecture by Dr. Tammy Proctor, professor of history at Utah State University (and formerly of Wittenberg University). Wright State, Millett Hall Atrium. Sponsored by WSU CELIA. Details here. Friday, 14 November 2014, 2:30 pm: “Neither Sweet Nor Decorous: American Poetry in the First Year of the First World War,” a lecture by Dr. Mark Van Wienen, Professor of English at Northern Illinois University. Professor Van Wienen is the editor of Rendezvous With Death: American Poems of the Great War (University of Illinois Press, 2002) and the author of Partisans and Poets: The Political Work of American Poetry in the Great War (Cambridge University Press, 1997) as well as a number of articles about American literature and culture of the late nineteenth and early twentieth centuries. Wright State, Millett Hall Atrium. Sponsored by WSU CELIA. 1. Information session for War and Society: the History Club at Wright State has graciously invited Dr. Lockhart to chat about the War and Society minor, the War and Society graduate concentrations, and the WWI commemoration at Wright State. Tuesday, 14 October 2014, 6:30pm, Dixon Hearth Lounge, Wright State Student Union. Questions? Email Dr. Lockhart at paul.lockhart@wright.edu or Lukas Schweikert at schweikert.4@wright.edu. 2. Saturday, 11 October, 7:30pm, at Schuster Hall in Wright State’s Creative Arts Center: “While Your Hearts Are Yearning: Popular Music of the Great War,” a concert of British, American, Canadian, and Australian popular songs and soldier’s ditties from WWI. The first event in WSU’s CELIA (Collaborative Education, Leadership, and Innovation in the Arts, an Ohio Center of Excellence) program commemorating the centennial of the First World War, this concert has been put together under the very capable direction of our own multi-talented Dr. Christopher Oldstone-Moore, Senior Lecturer in History at Wright State. Faculty and students from WSU’s School of Music will perform. Free and open to the public! Come on out to support Dr. Oldstone-Moore, the History Department, and War & Society! First W&S-sponsored event a success! 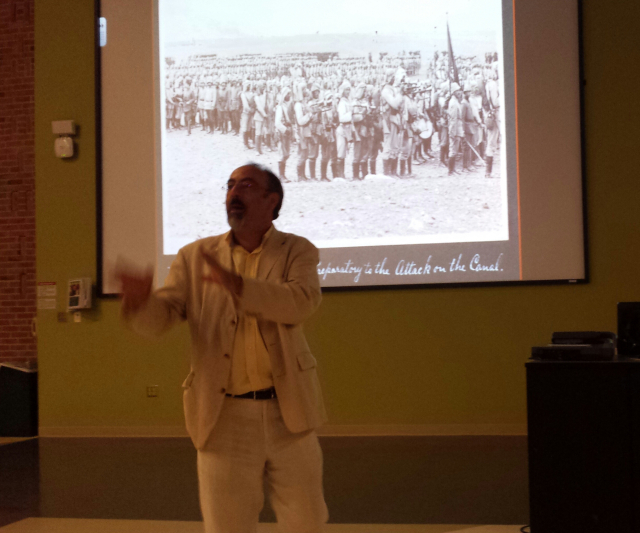 Dr. Issam Nassar’s lecture (9/18/14) on WWI in the Middle East, the Ottoman 1915 campaign to seize the Suez Canal, and photography in the war was a resounding success. I think we probably pulled in close to a hundred attendants, and of that I’m very proud. Here’s to more War & Society-sponsored events in the future…this year, even! WRIGHT STATE WAR & SOCIETY STUDENTS TAKE NOTE!!!! When we think of the First World War, it’s the Western Front that usually springs to mind. But it was a world war, after all, fought on many fronts, and not just in Europe. The fighting in the Middle East was equally crucial, and the impact of the Great War on the region is still very much visible today. Professor Issam Nassar (Department of History, Illinois State University) will discuss Jamal Pasha’s failed attempt to seize control of the Suez Canal in 1915, featuring images by local Jerusalem photographers Khalil Raad and John Whiting. 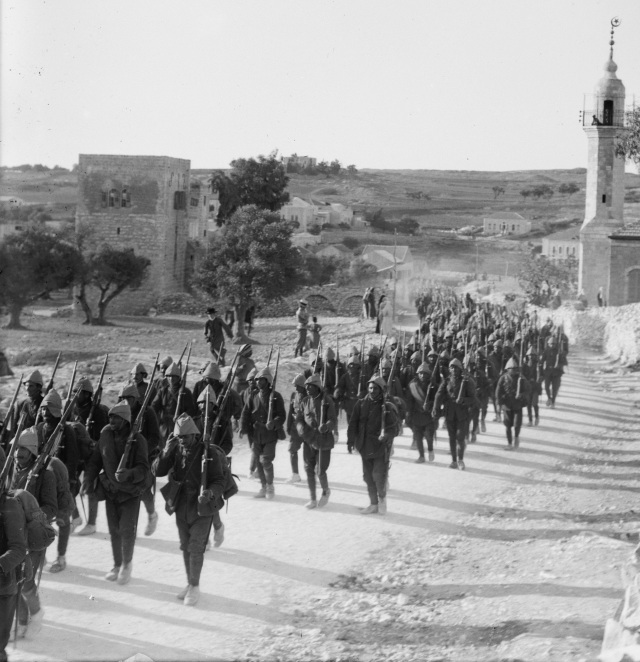 The Raad/Whiting photos show Ottoman preparations for the war, the men and commanders of Pasha’s Fourth Ottoman Army, military installations, and much more, bringing this largely forgotten campaign back to life. Using photographs as historical documents, Dr. Nassar will examine the role photography — and propaganda — played in the war. The event is open and free to the public. Free parking is available to visitors (go to the WSU Parking Services website here); Dr. Nassar will speak in the large lecture hall in Oelman (109 Oelman; see campus map here). Event sponsors: War & Society, Wright State University; Department of Art and Art History, Wright State; Department of History, Wright State; University Center for International Education, Wright State. Fall 2014: Welcome back, Wright State W&S students!!! *new War and Society concentration: the long-awaited (well, not really that long) War & Society/Public History “hybrid” concentration! Now PH students can specialize in military-related topics, too, and like W&S thesis/course-intensive students, that accomplishment will be specially denoted on the transcript. Plus, like W&S, you can pick it as your concentration when you apply on-line. Still in approval stages, but should be official by the end of this semester! *World War I! 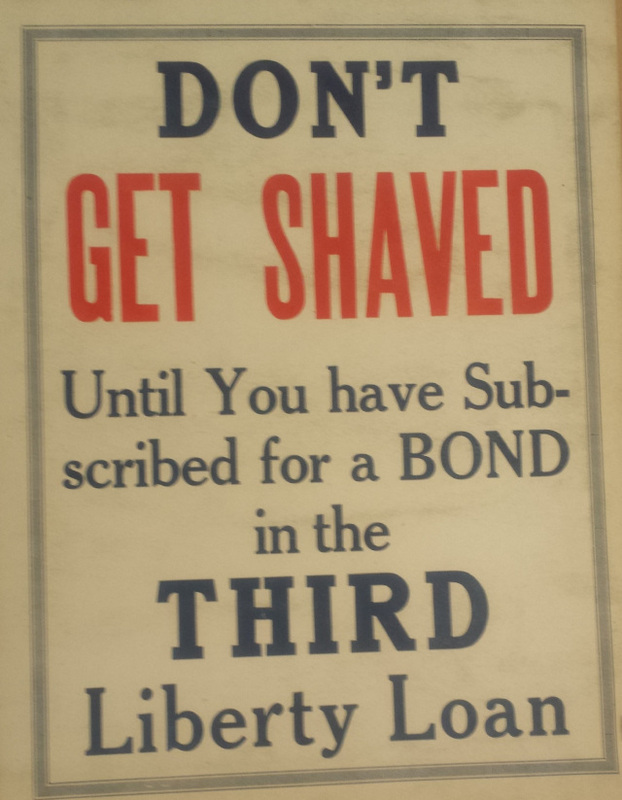 World War I! World War I! Like many colleges and universities world-wide, we’ll be commemorating the centennial of the Great War. And at Wright State, the commemoration will be a big one. A concert series, a lecture series, films…and that’s just this year. A major, long-term exhibit on “Dayton in the Great War” is in the works, to be hosted by Dayton History/Carillon Park starting in early 2016, and Dr. Lockhart is working on a documentary film on the same subject. This deserves its own post, and it will get one. In the meantime, check out Dayton in the Great War. *For undergrads: a minor in War & Society. Should be approved and ready-to-go by the end of the Fall Semester 2014. 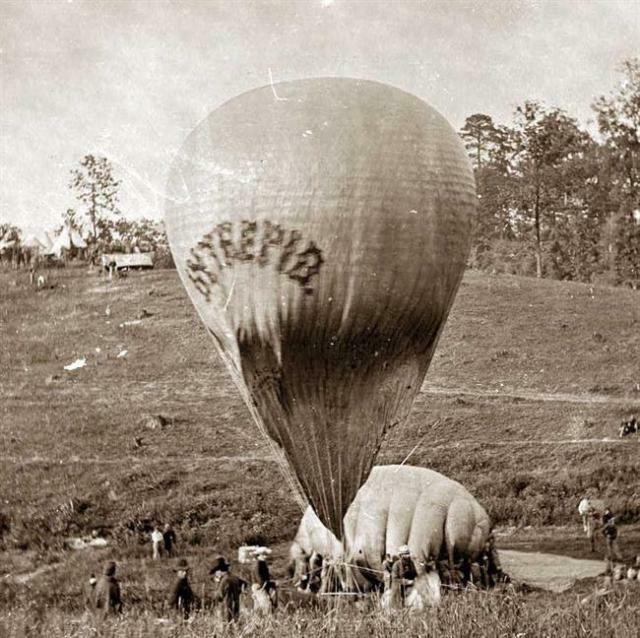 During the American Civil War, both the Union and the Confederacy used balloons for observation and reconnaissance, foreshadowing the usage of aircraft in World War I 50 years later. The American Civil War is frequently viewed as one of the first modern wars. This idea is not necessarily true, since many of the technological innovations that are often thought of having first been used in the Civil War were actually used in earlier conflicts. One example of such technology is the balloon, which was used by the French decades before the Civil War. However, the Civil War was the first time that the balloon was deployed in a formally organized unit. Though this unit was relatively small and it ultimately did not have an enormous impact on the war, it marked a milestone in the history of military aviation. The first balloon took flight in France in the late 1700s, and was used by the French military as early as the 1790s. 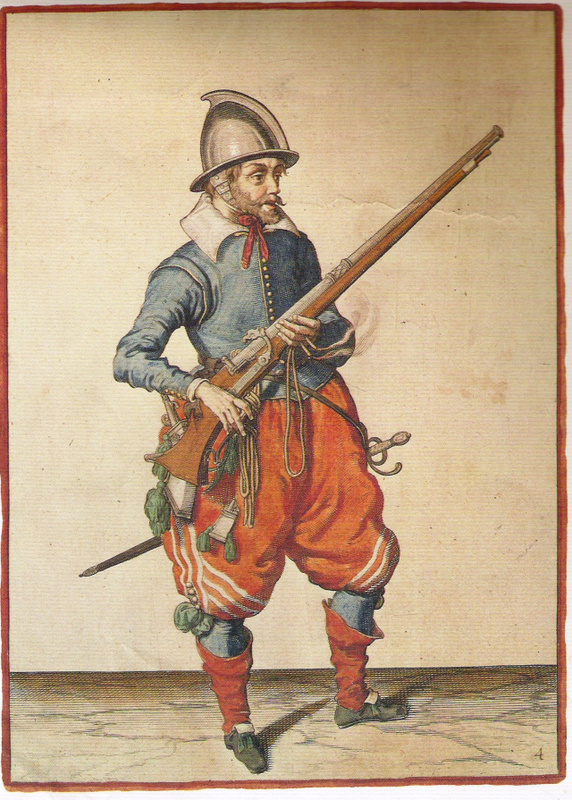 Balloons were used by the French in several battles during their Revolutionary Wars, but they were only used individually, and their unit, the French Aerostatic Corps, was not as well organized as the Balloon Corps would emerge in the Civil War. The idea of the balloon as a military asset was primarily a Northern effort, though the South occasionally experimented with literally patchwork balloons. Prior to the Civil War, a number of inventors, scientists, and adventure-seekers were experimenting with balloons in the U.S. One of the more successful of these men was Thaddeus C. Lowe. Lowe had made numerous balloon flights prior to the war, including one attempt to fly across the Atlantic (he did not even come close to achieving his goal, coming down after only a few hours after ascending and never having reached the coast). While balloons were frequently viewed as a curiosity more than as a practical means of war or transportation before the war, the Civil War allowed for new possibilities. The War Department became interested in the idea of acquiring balloons for military purposes. Lowe was soon involved in discussions with the Secretary of the Treasury, Salmon P. Chase, as well as President Lincoln, who both were intrigued by the idea of a flying unit. In June of 1861, Lowe made several demonstration flights on the lawn of the Smithsonian, proving his capabilities. One of these experimental flights involved the use of a telegraph wire connected to ground, which Lowe used to send a message to the President. This would be the very first air-to-ground electronic transmission of any kind. In a continuation of his experiments, Lowe was sent to the front lines with his balloon in order to test the idea of using his aircraft as a means of artillery observation. Lowe ascended to several hundred feet, taking with him a set of field classes and a white flag with which to signal men on the ground. When the rounds fell off their mark, Lowe waved the flag to indicate the artillerymen should adjust their fire. A few attempts, Lowe observed the rounds landing among Confederate positions. The Confederates, realizing that the balloon was the source of their troubles, began shooting the balloon even though it was several miles distant. Lowe quickly ordered the balloon pulled down. After his initial successful ascents, Lowe received funding and orders to form the first “Balloon Corps.” While officially titled the Aeronautical Corps, newspapers referred to the curious new unit as the Balloon Corps. The Corps was formed around Lowe’s balloon, The Union, with the addition of four new balloons: Intrepid, Constitution, United States, and Washington. However, Lowe was not assigned a large number of men for his new unit; he began to recruit other balloonists to give his corps an experienced group of personnel. Other balloonists included John Wise, James Allen, and John La Mountain. These men, along with Lowe, were some of the leading balloonists of the time and brought their extensive experience to the Balloon Corps. However, despite being employed by the Union Army, none of the balloonists involved ever received commissions in the army, though they did apply for them numerous times. 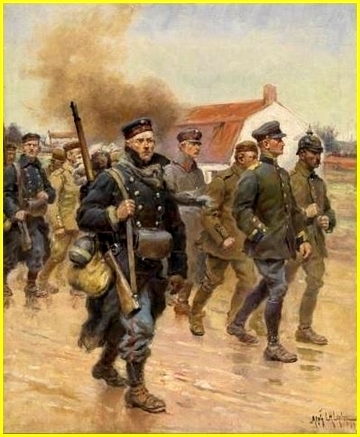 Lowe, as the commander of the unit, would take to wearing a Union officer’s overcoat sans rank insignia to denote his status as the unit’s leader. Under Lowe’s direction, the Corps devised a few inventions to aid them in their deployment of balloons in the field. Because the balloons were to be filled with gas instead of hot air, a means of inflating the balloons had to be devised. Lowe himself designed a portable hydrogen cart that filled the balloons with gas in the field. The other balloonists would also contribute their own ideas to the running of the unit. 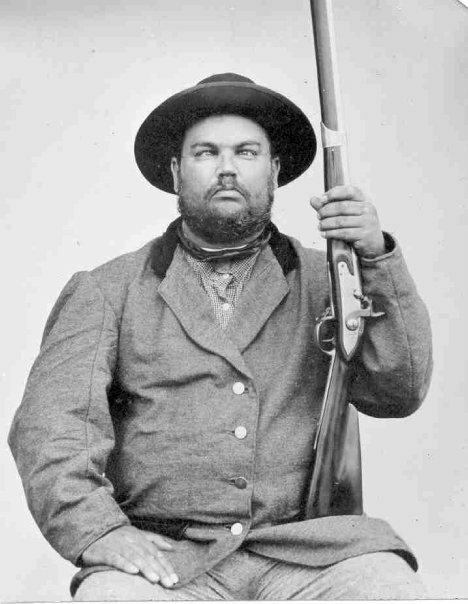 James Allen was perhaps one of the first people to consider arming aircraft when he suggested placing percussion grenades in case Confederate troops surrounded the balloon while it was in the air, with the hope that the shrapnel from the grenades would sever the tether lines. By March of 1862, the Balloon Corps was outfitted with seven “war balloons” of varying sizes, six gas generators, and eight balloonists. Additionally, the Navy departed modified a barge, the George Washington Parke Custis, to be used as a “balloon carrier” by making the structure above the waterline a level deck with only tie-downs. This could perhaps be considered the world’s very first aircraft carrier. In addition, the Balloon Corps had been making many ascents during the winter months, training for operations on campaign. 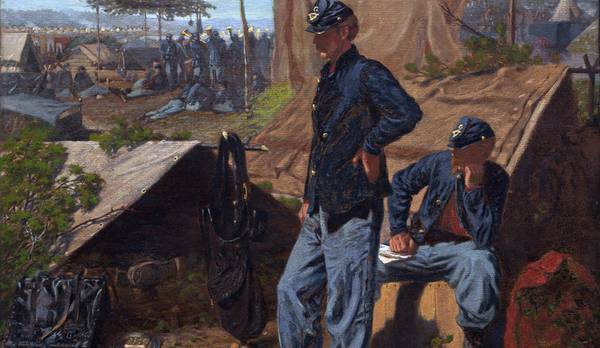 This was well-timed, since General George McClellan was finally ready to begin his offensive, with Lowe and his Corps providing observations on enemy positions and troop movements. Though the Corps had been making observation flights against Confederate positions prior to the offensive, the Peninsular Campaign would mark a major upturn in the use of balloons. As the campaign very slowly moved along the Peninsula, requests for observations against Confederate positions began to increase. Being able to view Confederate positions from several hundred feet, with a grand view of the landscape not blocked by tall-standing trees or hills proved to be very useful. Balloonists would ascend for flights that ranged from ten minutes to an hour, making notes and sketches of what they saw in notepads, then descend and report their findings to army commanders. Balloon flights were generally took the entire day, since it took time to move the balloons into position (the balloonists had to be careful to not tear the balloons on tree branches or other obstacles) and inflate them. While the majority of ascents went as planned, problems did arise on several flights. On one occasion, the balloon The Union was blown away by gale force winds, though it was later recovered with only minor damage. On another occasion, General Andrew Porter was taking a ride in one of the balloons alone when the tether line broke. The balloon drifted over Confederate lines, whose troops immediately began shooting at the free-flying balloon. Meanwhile, Porter took notes on Confederate positions. Eventually, the balloon drifted back over Union lines and landed. Perhaps most interesting was one incident during which Lowe was airborne during the battle at Yorktown. After a short time making his usual observations, Lowe was surprised to see another balloon rise over the Confederate positions. Lowe noted that this balloon was multi-colored and was airborne for some time. This was the first time that aircraft from opposing sides of a war were present over a battlefield. Lowe had observed a Confederate balloon, indicating that the South was also interested in the possibilities that balloons offered. However, it would be the better organized and more well-supplied Union Balloon Corps that experienced more success during the Civil War. Despite this, even the Northern unit was destined to be a relatively short-lived experiment. In part two of this article, I will discuss the Confederacy’s venture in aeronautics and the end of the Union Balloon Corps. Poleskie, Steve. The Balloonist: the Story of T.S.C. Lowe– Inventor, Scientist, Magician, and Father of the U.S. Air Force. Savannah, GA: Frederic C. Beil, 2007. Print. Evans, Charles M,. War of the Aeronauts: the History of Ballooning in the Civil War. Mechanicsburg, PA: Stackpole, 2002. Print. Phillips, Gervase. “Was the American Civil War the First Modern War?” History Review 2006. Web. 22 Nov. 2011. “Æ Aeragon – First Modern War.” Æ Aeragon – Military Technology Transfer. Web. 08 Dec. 2011. <http://www.aeragon.com/03/&gt;. P. 174 Poleskie, Steve. The Balloonist: the Story of T.S.C. Lowe– Inventor, Scientist, Magician, and Father of the U.S. Air Force. Savannah, GA: Frederic C. Beil, 2007. Print. P. 160 Poleskie, Steve. The Balloonist: the Story of T.S.C. Lowe– Inventor, Scientist, Magician, and Father of the U.S. Air Force. Savannah, GA: Frederic C. Beil, 2007. Print. Sorry to be so late in getting to this, but here they are. Go to WINGS Express for further details or to register, and contact War & Society at WarAndSociety@wright.edu if you have further questions. HST6820-B01: War in America to 1865. 9:50 – 11:30am, MTWR. June 23 – July 31, 2014. Instructor: Dr. Paul Lockhart. HST6210-01: World War I and British Culture. 11am – 12:20pm TR. Instructors: Dr. Carol Herringer and Dr. Barry Milligan. 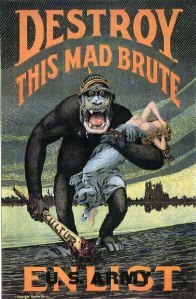 ENG6200-01: World War I and British Culture. 12:30 – 1:50pm TR. Instructors: Dr. Barry Milligan and Dr. Carol Herringer. HST6450-01: Middle East from World War I to World War II. 9:30 – 10:50am TR. Instructor: Dr. Awad Halabi. HST6600-01: Revolutionary America. 8:00 – 9:20am TR. Instructor: Dr. Noeleen McIlvenna. 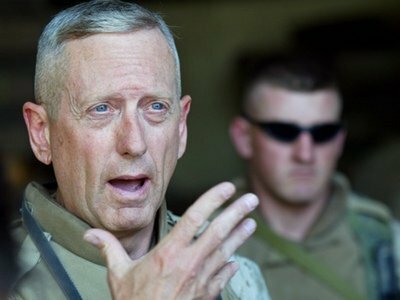 Viral James Mattis Email About Reading – Business Insider. via Viral James Mattis Email About Reading – Business Insider. Here’s what we’ve got coming up in three weeks. German soldiers found perfectly preserved in trench where they were buried alive by Allied shell | Mail Online. 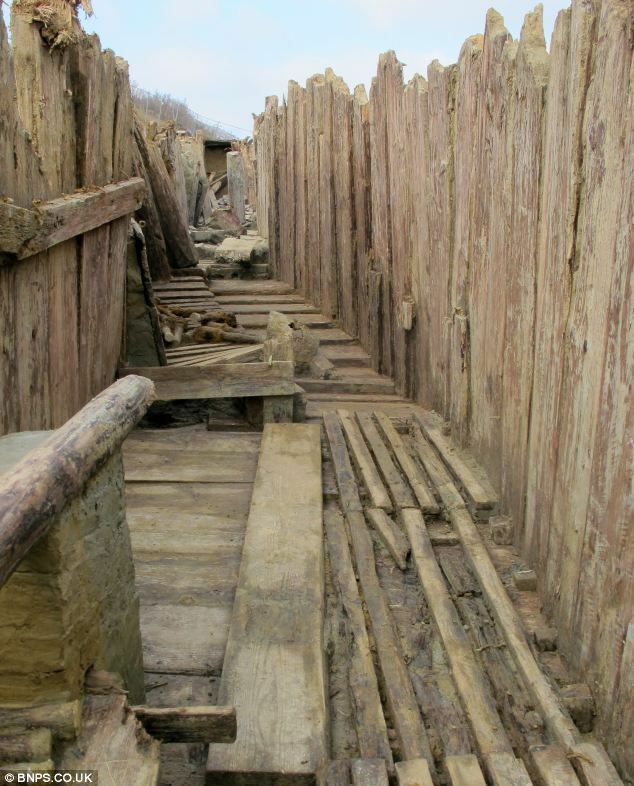 via German soldiers found perfectly preserved in trench where they were buried alive by Allied shell | Mail Online. Navy Dolphins Find Rare Torpedo Off California Coast (PHOTO). 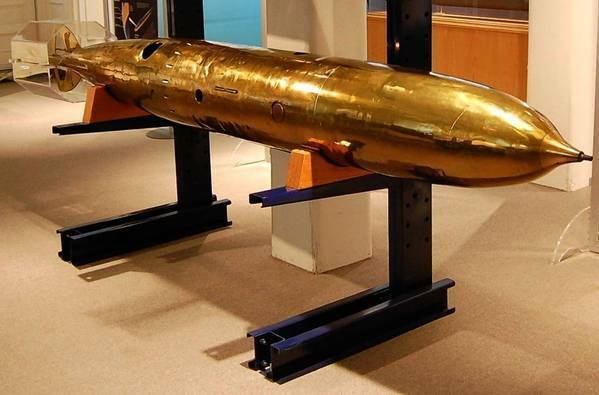 via Navy Dolphins Find Rare Torpedo Off California Coast (PHOTO).